This post deals with interpretation, providing a few thoughts and ideas which can be employed in most pieces and genres. Now you have the notes in place, and can play your piece fairly well technically (i.e. without hesitations or errors), you can begin to turn your attention to actually playing the music. As you become increasingly proficient at assimilating notes, rhythm and playing fluently, you’ll be able to combine technical issues and interpretation concurrently. But for now, it is probably more effective to deal with the technical issues first, as suggested in my earlier posts. 1. Returning to the first post (where I mentioned the structure of a piece), now rethink your piece from the viewpoint of familiarity, re-evaluating its form. Virtually every piano piece has some kind of structure (how it has been constructed). Where and how melodies (or passagework) repeat, how the textures change (or remain static), how the harmonic language affects the work, how many keys the piece passes through, will all have an impact on deciding the dynamics and how they will develop throughout (what passages will need more sound, colour, etc.). Look for the focal point/s of the piece, and think about how you will build climaxes. It’s easier to do this once the piece has been thoroughly ingested, and you may be surprised by how your ideas or viewpoint has changed from when you first examined the music (the ‘pre-learning’ stage). 2. When thinking about phrase structure; decide where the tops of phrases (or where the climactic points) occur, and practice changing the sound, going from p (soft) to loud (f) and back again, within each phrase (it can be useful to write this on the score too). This is a valuable exercise, even if a work doesn’t need large variation in sound. 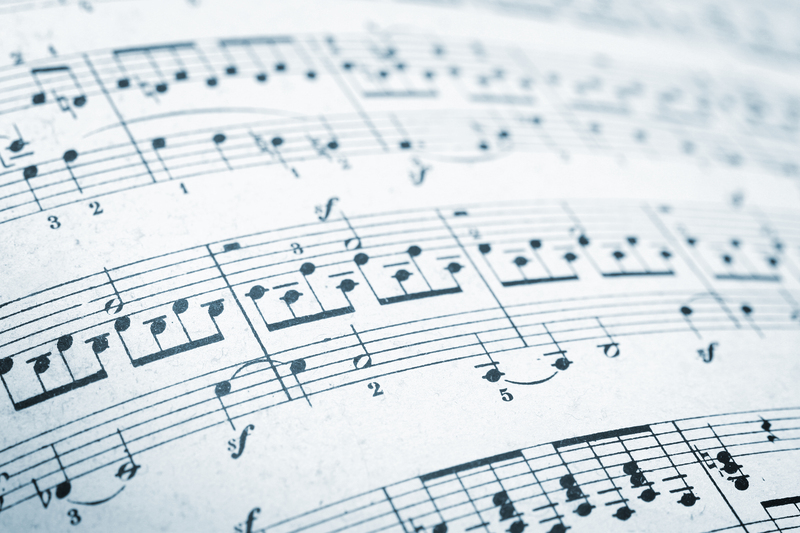 It’s particularly important if the texture is complex, as with Baroque contrapuntal works such as fugues, or Twentieth Century pieces, which can often contain thick chordal passagework. Greater arm weight and a firm touch will control both the quality and quantity of sound. 3. There is a distinct difference between rubato and slowing down at the end of a section or the whole piece (generally termed ritenuto or rallentando), The latter is a common occurrence in many styles/genres whereas the former will need careful thought and planning. Too much rubato (or rhythmic flexibility within a phrase), can change the character of a work considerably, and can also be totally inappropriate for certain styles. Unless specified in the score, rubato should be used sparingly, even in Romantic period works, and (in my opinion) changing the sound and colour is preferable to varying the speed for expressive effect. This is worth bearing in mind as you work at your piece. 4. Pedalling is another vital aspect which will undoubtedly affect the way a piece is played. Depending on the genre/style piano works nearly all require some sustaining (or damper/right) pedal, even if only at the ends of sections, phrases or to enrich cadences. In Baroque and Classical style works we use it sparingly, and generally it’s best not to cover fast passagework with lots of pedal. This changes with Romantic and especially Impressionist styles, but it’s always beneficial to practice without any pedal at all (so you can really ‘hear’ what is being played), adding pedal tastefully. The Una Corda (left pedal) is used infrequently, but can mute and dampen the sound to great effect. For more pedalling ideas click here. 5. Finally, an interpretation must be YOURS and true to you and you only. I believe a pupil must have an opinion about a piece, and should ideally know how they want to play it. Even younger, less experienced pupils can do this. Teaching technique is fun, and it’s relatively easy to show pupils how to phrase, and play musically or stylistically appropriate, but at the end of the day, if a student is shown exactly how to interpret every piece they play, then it’s not from their heart or soul. To find inner meaning and expression in a work, try to explore the piece fully. Find out more about the composer. What state of mind was he/she when it was written? How is the piece placed in their overall output? And finally how does it make you feel? Angry, sad, happy, joyous, or perhaps, it provides a sense of serenity and peace? Over to you. I hope you find some of these tips helpful, and they encourage you to enjoy exploring many different facets of your piece.